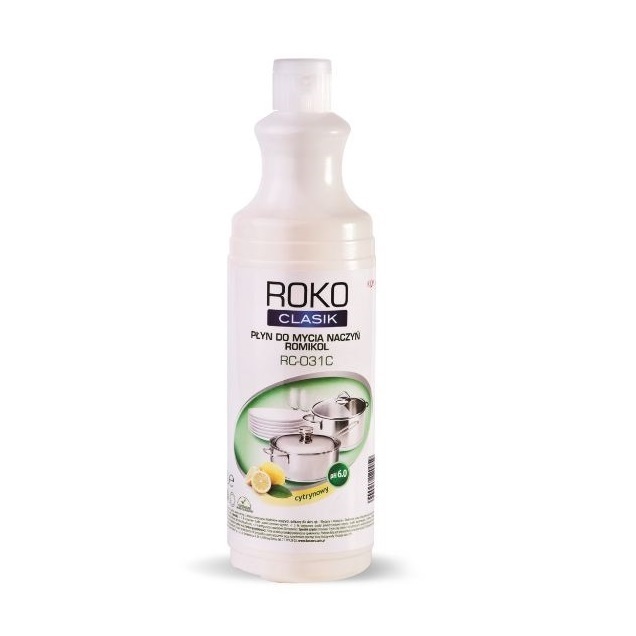 ROKO CLASIK ROMIKOL is a dishwashing liquid for manual washing of dishes and plastic objects. Its carefully developed technology is based on raw materials with excellent cleaning properties which immediately dissolve grease and any food residues. It contains ingredients which protect epidermis against drying. The product is intended for professional use. dishwashing liquid washing dishes washing plastic objects.